Those lively conversations with another human being can seem mundane but they make a world of difference for someone who lives alone or spends most of the day alone at home. You may have a grandparent or a parent who could use some company as they age and a companion from Assured Health Home Care, Inc. might just be what they need. Assured Health Home Care, Inc. is a provider of joyful companionship. Our companions are trained not just to provide the client with company during the day but they also ensure the client’s health and safety at home. Is there anything that our companions can do to make your loved one’s day seem brighter? Let’s start with joyful companionship. 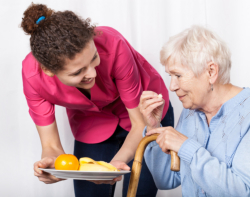 Call us at Assured Health Home Care, Inc. to request for visit schedules – 703-221-4854.